Ottum at ALASKAUSAW@gmail.com by April 15, 2019 to be included on the t-shirts. team might be left out. email. Photos are also not acceptable. • If you do not receive a confirmed reply from ME, the roster was not received. *Please note this roster is used for the shirts only and is NOT a replacement for the entry forms. AUSAW is requiring that athletes who will also be coaching or officiating obtain a Wrestling Leader Membership as well as the athlete membership. AUSAW is NOT accepting Event Volunteer for coaching or officiating. All Coaches, Pairing Officials & Mat Officials MUST have a current Wrestling Leader Membership. New requirement for Alaska USA Wrestling 2018 season: All adults who help at their club must complete the Safe Sport training & provide a copy of the certificate to your club leaders as well as carry it with you; either paper, electronic copy or a photo image on your phone will be acceptable. This includes but isn't limited to all coaches, officials, club board members and any other volunteer adults helping their club's board with any club business. 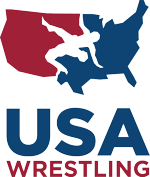 In addition, All coaches are still also required to have "Copper" or “Bronze” certification and provide a current USAW coaches card and Concussion Training certificate to receive a coaches band and to be allowed in the corner at tournaments. This will be required from now on starting with the first tournament on 3/2-3/18. AUSAW BOD will be spot checking coaches, so please abide by these rules. In exchange for a coaches band, coaches will be REQUIRED to produce their Safe Sport certification, a current dated, not expired, ASAA or CDC concussion training certificate and a current USAW coaches card with either Copper, Bronze or higher certification. AUSAW BOD will be spot checking coaches, so please abide by these rules when handing out the wristbands at your tournament. Within their USAW Membership account even if they only have the account for renewing their Child's Athlete Membership, aka, not a Coach or Official. Renewals for Coaches and Officials now will require Safe Sport just like the back ground check has been required. Those Coaches who 2 year renewed last year also are required to log into their Membership account and take the Safe Sport test now as well. 2017 AUSAW Sponsors - THANK YOU! ©2019 Alaska USA Wrestling / SportsEngine. All Rights Reserved.